Medium weight 18 lb. 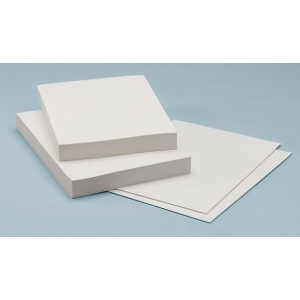 basis pure white tracing papers. * An inexpensive tough sulphite bond that is a good substitute for professional quality vellums. * Fine working surface for sharp pencil or ink lines and very good erasability characteristics. * Produces high quality white print Diazo reproductions. * Ideal for technical education use. The quantity is 500 sheets. The weight is 18 lb.